The Tories plan to kick 30,000 nurses out of Britain because they weren't born here. David Cameron’s new immigration laws mean workers recruited from outside the EU since 2011 who earn less than £35,000 a year after six years will have to go back to their countries of origin. The Royal College of Nursing (RCN) said: "This will cause NHS chaos." Already buckling under the ­pressure of savage Tory cuts, this will leave hospitals with a critical shortage of nurses at a time when more and more will be needed to cope with an aging population and the devastating effects of social care cuts. Unions are right to highlight the risk to patient care and I join them in calling on the Government to exempt nurses from the draconian new law. 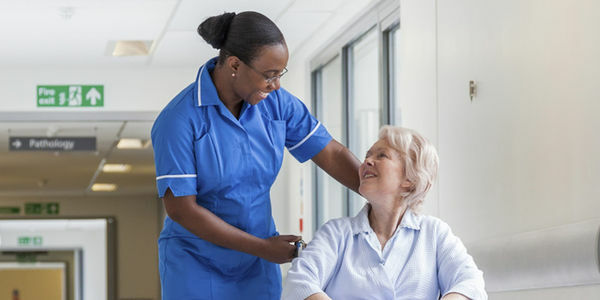 Due to Government cuts to nurse training places, trusts are being forced into relying on overseas and temporary staff, just to provide safe levels. My migrant colleagues make an enormous contribution but now those we have relied on for years face having to leave, which is unfair. The Government can still avoid this chaos. Please sign my petition now to tell the Home Office to add nurses to the list of occupations exempt from its new immigration rules. The crisis the NHS faces could have been avoided had Westminster invested in training instead of cutting it. The result is that with a lack of homegrown nurses, chiefs have had to look abroad. The UK will be sending away nurses who have contributed to the NHS for six years. Losing their skills and knowledge and then having to start the cycle again and recruit to replace them is completely illogical. The NHS has spent millions hiring nurses from overseas to provide safe staffing levels. These rules could also mean up to £180 million spent recruiting foreigners only to kick them out six years later will be wasted. This petition has today been sent to Amber Rudd MP at the Home Office - over 100,000 signatures and over 1,200 pages long! Keep sharing the petition with friends to keep the pressure up - we must not lose our valuable nurses in the NHS.